“A brand is a sum of thousand small gestures” – a firm believer of this thought, Emmanuel Upputuru, Creative Chairman and Co-Founder of ITSA, has stepped down from his position. He confirmed his resignation by posting a letter on ITSA’s website on October 8, 2017. The reasons mentioned for this step were to re-launch the platform with new ideas while retaining the original purpose behind ITSA. Stating his future plans, Upputuru wrote in the letter that he is ready to “begin a new” chapter. ITSA was formed in July 2012 by the trio of Emmanuel Upputuru, Anirban Mozumdar and Daniel Upputuru. Following the publication of this letter on the website, there was a lot of speculation of his exit. Post this, in a video, titled ‘ITSA Revelation’, Upputuru speaks at length about the reason behind his moving out of ITSA and its implications for the agency, as well as his plans for the future. Upputuru says in the video, “ITSA was a great idea. We did a lot of cool stuff, unbelievable stuff. But, ITSA had lost its original purpose somewhere along the way. To focus on innovations and I was afraid we were slowly drifting towards conforming to the image of a regular agency. So I had to kill ITSA. That’s why I resigned from ITSA. I couldn’t have started something new without killing ITSA first.” He admitted that it was a risky decision, but one that he had to take. 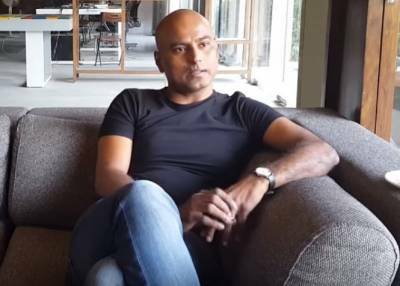 Publicis Capital ropes in Runjhun Jain as Senior Creative Director!